Today’s strip begins a small tour of some of Portland’s hot spots. First up, The Doug Fir Lounge. One of the best places to listen to live music. The acoustics are amazing, the decor retro, the drinks great. And they serve a pretty good rabbit dish for dinner. Next weekend is the Rose City Comicon! Woohoo!!! 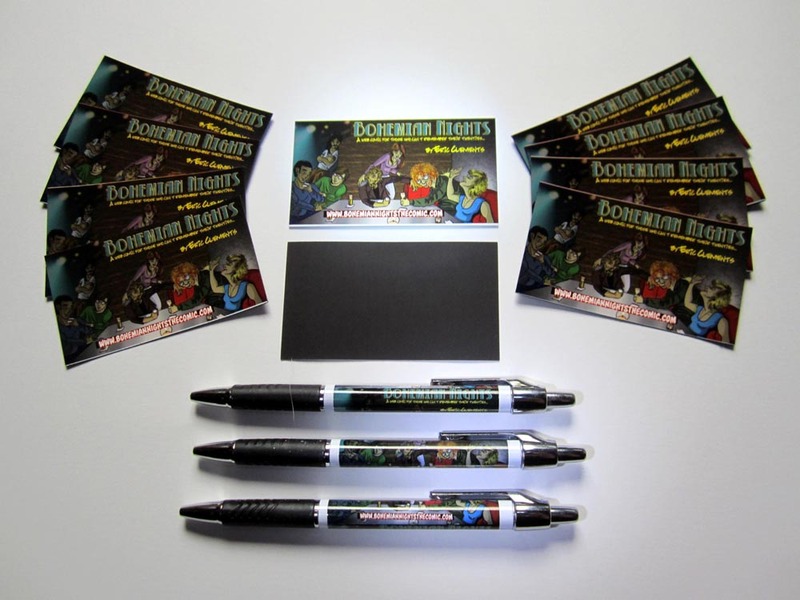 Although I don’t have a table and not too much to sell this time around, I will be wandering the premises decked out in a Bohemian Nights tee shirt, handing out free Bohemian Nights promotional swag. -Cards, refrigerator magnets and pens. 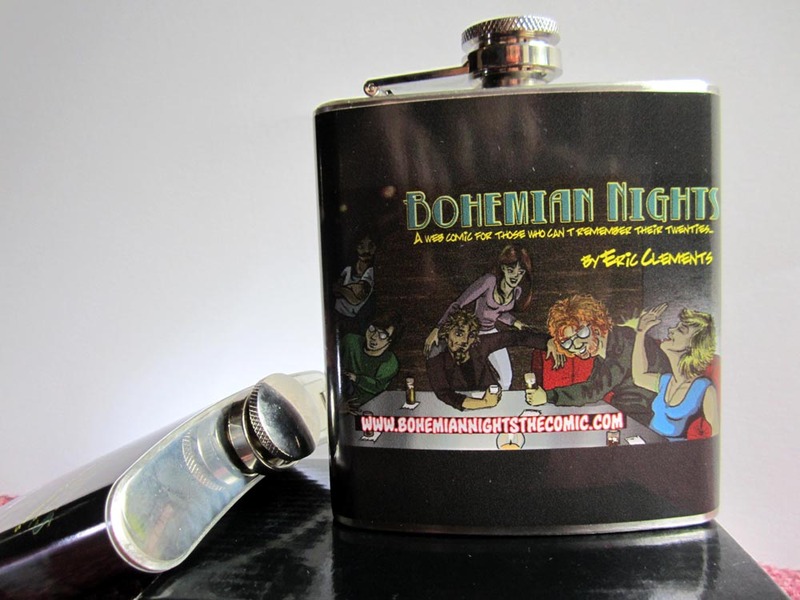 And for a lucky few, be the first three people to come up to me and say that you read my comic and you can get yourselves one of these limited edition 4oz hip flasks. Come and say hello. Who knows I may have some other one of a kind items to hand out…?